There's no doubt that shooting a video is more intuitive for recording interesting events and memorable moments. To a large extent, making video is also a treat for iPhone users, especially after the camera function is improved. Nevertheless, like Olivia, sometimes out of the blue, an important video file will be deleted. Fortunately, the iCloud backups greatly reduce the amount of work involved in the recovery process. 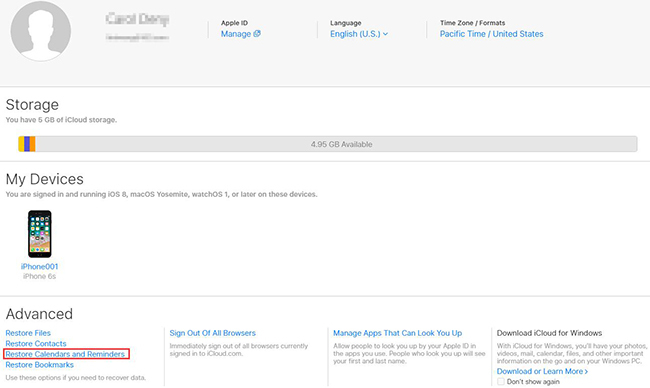 Now let's see what you can do to recover deleted videos from iCloud in this article. Your iPhone deleted videos will be kept in iCloud backup files. However, there is only 30 days given for you to recover them. If the expiry date is exceeded, videos will be permanently removed. So, you'd better take remedial measure as early as possible. Step 4: Choose the deleted videos you would like to retrieve by marking the items and then tap on "Restore" to get them back. Note: You have no way to find videos and other iPhone data files saved more than 30 days long on iCloud. Besides, the restored one will replace the current one on your iPhone. Keep them in mind if you are going to use this method. 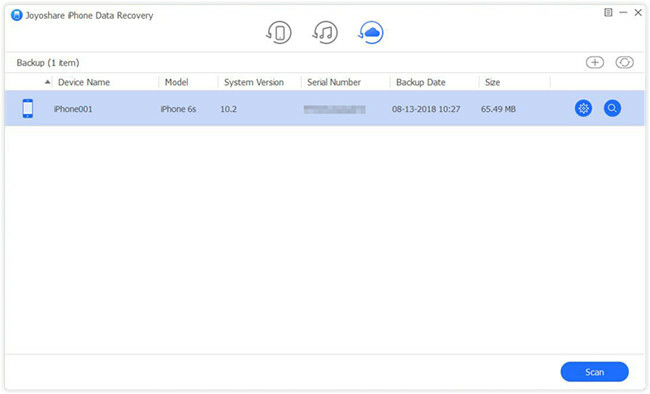 The one who has iCloud backups must have enabled "iCloud Backup" option already in iPhone settings. In this condition, once significant videos or other data files are deleted or lost due to various possible reasons, you can go forward to iPhone settings again to ask help. Risk is that you have to erase all content and settings first before initiating a recovery assignment. Step 4: Click "Restore from iCloud backup" and log in iCloud account to select designated backup for later recovery. 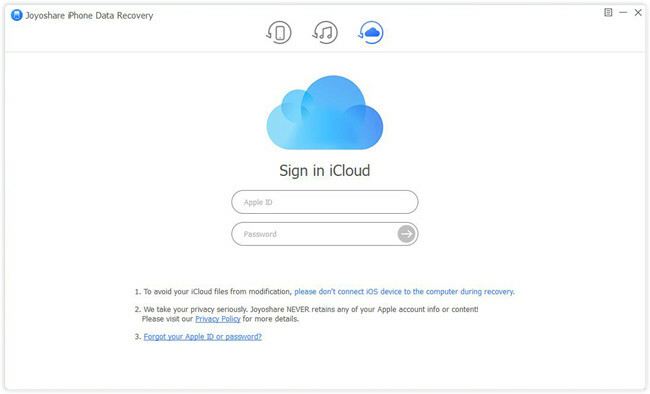 After learning aforementioned methods, you will wonder whether there is a secure and professional way to recover videos from iCloud without damaging current existing data and can scan deleted files deeply. 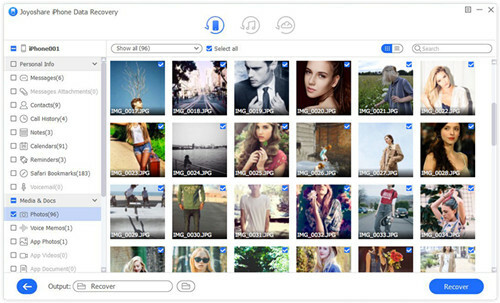 Definitely, Joyoshare iPhone Data Recovery, a typical iCloud backup extractor, can come to rescue you. It contributes to restore videos from iCloud, iTunes backups and iOS devices (iPhone/iPad/iPod touch) with 3 simple steps. Except for videos, data like photos, Safari bookmarks, notes, reminders, WhatsApp/Kik/Viber messages, contacts, etc. can be recovered as well. You have utmost rights during recovery process, previewing data in real time, choosing items selectively or filtering out needless files at own will. 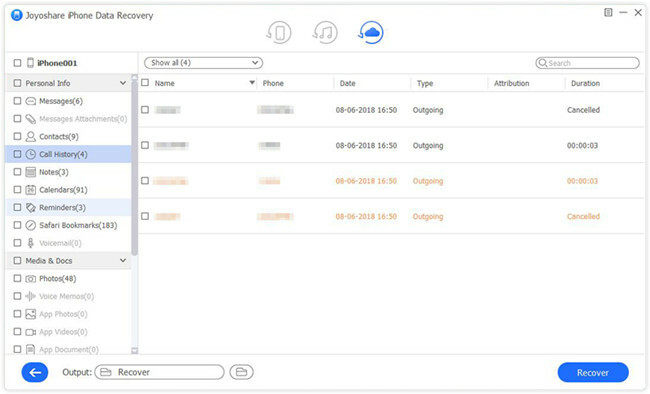 Simply get Joyoshare iPhone Data Recovery run and select "Recover from iCloud" mode on the top menu bar. Log in iCloud account with Apple ID and password. Notably, users who enable secondary authentication need to enter random code behind the password, during which no records will be taken by Joyoshare. Having entered your iCloud account successfully, you will see all synced iCloud backups shown in order. Referring to backup date, file size, device name, etc., choose a recent one that likely contains deleted video files. Press "Download" button to fetch data. Then you can click the "gear" icon to confirm data types before hitting "Scan" button. It will take a while to finish scanning iCloud backup. Afterwards, all recoverable contents will be displayed in categories. Tick the box of "Photos", "App Videos", etc. You are allowed to preview all items one by one as well. Lastly, just click "Recover" button to output them to computer local folder.